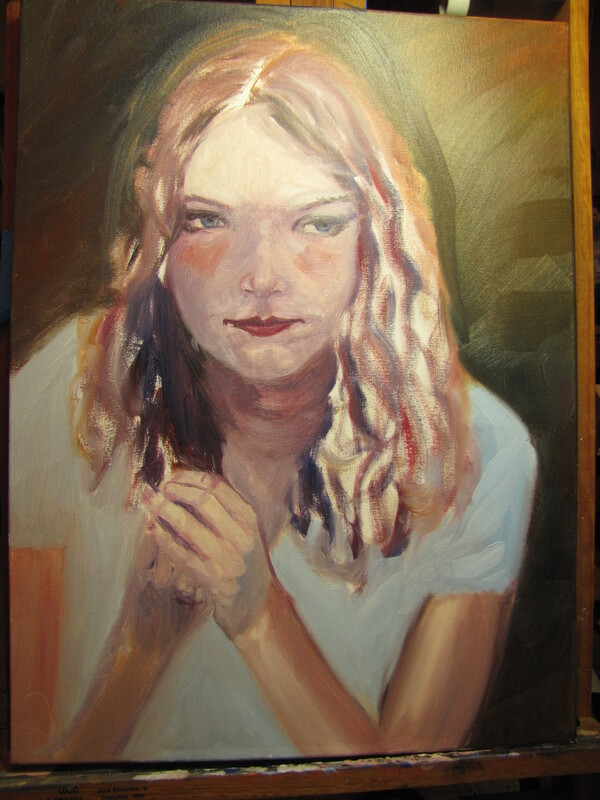 so I wen’t looking for portrait demos this morning before I went back to painting. I found a great one by Ben Lustenhouwer and recommend his blog paintingportraittips.com. I’m grateful there are many artists out there willing to share their experience and knowledge! I got some good ideas for how to proceed on. A proud member of the Chickasaw tribe, I was born and raised in Oklahoma. I studied art at Moore High School, The University of Science and Arts of Oklahoma, Rose State College and the University of Central Oklahoma. Among my mentors and instructors I include Bert Seabourn, Glenn Thomas and Carol Armstrong. My work leans heavily to the side of realism with tones of impressionism or expressionism in some areas. I strive to capture the beauty of God’s world in all my work. I am intrigued by the minute differences that make each person unique and at the same time the things that unify us as human beings. The slight drop of an eyelid or a shoulder can convey emotions that are common to us all. I especially love trying to capture the openness of children's expressions. I'm fascinated with the fleeting moment and excited by the challenge of capturing not just a likeness but an atmosphere or feeling.